Bob’s passion is helping people maximize their physical ability, reduce unnecessary physical stress, and prevent body motion injuries. This passion started while working as a therapist with physically handicapped adults in a variety of clinical, community and outdoor settings. His first venture into industrial safety and health occurred in 1986 when he co-developed a conference session on body mechanics that reduce the risk of slips, trips and falls. What made this presentation unique and impactful were the physical demonstrations. These demonstrations proved that small changes in elbow position and foot position instantly resulted in increased strength and balance. Presenting this course at the National Safety Council in Chicago resulted in training contracts with Exxon Offshore Gulf Operations and The Smithsonian Restoration Facilities. And that was the beginning of a long and enjoyable career in the field. Oil and gas – Upstream exploration and production in Alaska and the Gulf of Mexico. Downstream refining, manufacturing and distribution across the U.S.
Entertainment and hospitality – Disney and SeaWorld operations in California and Florida. Government services – Army Corps of Engineers, U.S. Forest Service. Food and Beverage – Anheuser-Busch brewing, packaging, distribution nationwide. 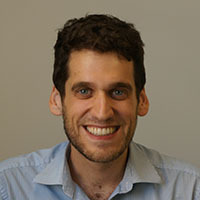 Bob’s most recent work has been focused on improving very large implementation results through use of media technology. The true test of these efforts has been the statewide implementation of Safety In Motion® by the Oregon State Accident Insurance Fund (SAIF). SAIF has been both a development partner and a client who has used the web-based library and customization tools to effectively deliver Safety In Motion to more than 50,000 workers in small, medium and large businesses. SAIF analyzed 3 years of results. The analysis revealed a 19% reduction in Workers Comp Claims for body motion injuries compared to a control group of equal size. The statistical reliability of these results is .92. Bob has a long list of public speaking engagements and published articles in the safety field. Blessed with a wonderful wife, family and fun that includes sailing, hiking, yoga, biking, kayaking and international travel. Andy DuBose is Chief Operating Officer and Senior Consultant with Safety In Motion®, Inc. and has been on staff full time since August of 2004. 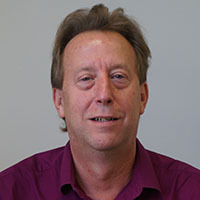 His duties include Marketing, Professional Presentations at Health and Safety Related Conferences, Risk Assessment (collection of application examples and identification of task related exposures), developing and certifying Safety In Motion® Trainers at all levels, and working with client management to develop successful implementation plans. He was also heavily involved in the recent development and upgrading of all Safety In Motion® materials and development of new modules. Prior to employment with Safety In Motion®, Inc., Andy worked as a member of the Safety Department for an 800 employee Plastics plant in Texas. Andy was involved in the implementation of this sites Behavior Based Safety Process (BBS), served as the BBS Facilitator for 4 years and was influential in integrating Safety In Motion® with other safety initiatives; including the BBS Process, Incident Investigation, Return to Work program, New Hire Orientation, Health and Wellness Programs, and Project/SOP/JSA development. Andy’s communication and organizational skills served him well as he worked as a member and Chairman of both National and Regional Conference Committees for National safety service providers. Personal interest and experience with health, fitness, and wellness also serve Andy in his professional duties as an employee of Safety In Motion®, Inc. He maintains Certified Personal Trainer and Corrective Exercise Specialist certifications with the National Academy of Sports Medicine and CrossFit. Rich Blaho is the Senior Consultant with Safety Results, Inc. He has been on staff full time since November of 2000. His duties include marketing, presentations at Safety Conferences, shooting risk assessment & applications videos and all phases of developing Safety In Motion® Trainers at all levels. Rich has trained and certified over 1000 Trainers and Champions for Safety Results Inc. He was also heavily involved in the recent development and upgrading of all Safety In Motion® materials and development of new modules. Prior to November of 2000, he was the Co- Facilitator for the Behavioral Based Safety Process (BBS) for ARCO Alaska. His duties included overseeing the development and implementation of the BBS process for over 1000 employees. He was also tasked with integrating Safety In Motion® with the BBS Process. 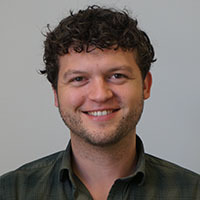 During his tenure as Facilitator he began working part time with Safety Results Inc.
Adam is the Product Manager and Systems Analyst at Safety In Motion, Inc, and has been with the company since 2013. He provides guidance about SIM's suite of software products as well as technical support and documentation for the SIM4® software and SIM-Works™ mobile app. He graduated from Whitman College in 2010 with a BA in Theatre. Prior to working at Safety In Motion®, Adam worked as a program coordinator and systems administrator for an animal shelter in Portland and as a QA Analyst at a small software company. Adam loves cooking, running, playing basketball, singing and playing word games. Shane Connors is a Consultant with Safety In Motion, Inc. and has been on staff since August of 2011. 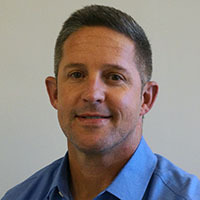 His duties include presenting Safety In Motion® seminars to client leaders and employees, identification of musculo-skeletal injury prevention opportunities in client work environments, developing and certifying Safety In Motion® Trainers at all levels, and working with client management to develop successful implementation plans. Prior to employment with Safety In Motion, Inc., Shane spent 20 years in the United States MarineCorps as a Personnel Chief and Platoon Sergeant. Following his retirement from military service Shane embarked on a career with The Home Depot as a Store Human Resources Manager where he was an American Council of Education certified faculty instructor delivering leadership and employment practices curriculums at the regional and district level in the Pacific Northwest. Subsequent to his work at The Home Depot, Shane worked for IGH Solutions in the printing and manufacturing industry as a Shared Services Human Resources Manager and Safety Manager. During his tenure at IGH Solutions Shane co-developed and delivered comprehensive leadership training seminars and built a “from the ground up” behavior based safety program at a local printing facility, including the development and implementation of a comprehensive ergonomics program. Shane’s experience in safety management includes system/policy design, risk assessment, job hazard analysis, injury prevention and treatment, workers compensation case management and return to work programs. Shane has numerous professional certifications in the Human Resources, Training and Substance Abuse Counseling fields. Shane has three adult children and currently resides with his partner, her two daughters and their new baby girl. In his off time Shane is an active volunteer with Search and Rescue as a field deployable searcher, Licensed Emergency Medical Responder, and training committee member. Shane enjoys outdoor adventure activities including extensive hiking, backpacking, climbing and rappelling. Shane’s passions include classic literature, martial arts, yoga and swimming. Dan is a Consultant with Safety In Motion, Inc. and has been on staff since March 2015. 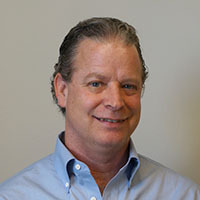 His duties include presenting Safety In Motion® training seminars to client leaders and employees, developing internal subject matter experts, and guiding employees in their understanding and application of Safety in Motion® techniques and principles. Dan has a Bachelors of Science degree in Philosophy and prior to employment at Safety in Motion, Inc. spent ten years working in hospitality. There he spent many years working with internal safety teams with a focus on risk assessment teaching better practices and on the job techniques. In his free time he enjoys mind puzzles, reading and outdoor activities, including white water rafting, snowboarding, hiking and golf. Simone’s business experience started as a paralegal and senior administrator for a Texas based law firm and loan company. Soon her skill set and customer service skills led to increased responsibility that included investment property management. 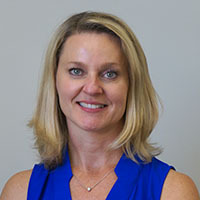 Before joining the SIM, Inc. team, Simone was the president of a circuit board manufacturing company at which she managed all aspects of the business, including finance and accounting, human resources, and operations management. She would tell you that she prefers the spotlight be on others and wants nothing more than to feel accomplised at the end of the day. Her hobbies and interests include family first and foremost, home improvement projects, long walks, and travel.